KYIV. July 16 (Interfax-Ukraine) – Ukraine’s National Commission for Energy, Housing and Utilities Services Regulation (NCER) has expanded the investment program of public joint-stock company Ukrhydroenergo by almost 1.5 times or UAH 540 million, to UAH 1.696 billion (VAT not included). The commission made the decision at a meeting on Tuesday. “We haven’t increased the tariff. These are funds that we managed to find thanks to saving and cutting credit rates. UAH 540 million will be sent to the completion of their unit of Dnistrovska pumped storage hydro power plant, which we plan to launch by the Power Engineers’ Day,” Ukrhydroenergo Head Ihor Syrota told Interfax-Ukraine. As reported, in late December the commission approved Ukrhydroenergo’s investment program in the amount of UAH 824.652 million, and in early June the program was expanded to UAH 1.156 billion (VAT not included). Electricity generation by Ukrhydroenergo’s hydroelectric plants and pumped storage hydroelectric plants fell by 37.1% in 2014, to 8.546 billion kilowatt-hours (kWh). Ukrhydroenergo operates all of the major hydroelectric power plants on the Ukrainian sections of the Dnipro and Dniester rivers. Their total electricity generating capacity amounts to gigawatts. The Energy and Coal Industry Ministry owns 100% of the shares of the company. KYIV. July 16 (Interfax-Ukraine) – Ukraine’s foreign trade surplus in goods in May 2015 amounted to $332.3 million, compared to $230.2 million in April, $288.1 million in March and $133.5 million in February 2015, the State Statistics Service has said. The service said that the surplus grew by 81.9% year-over-year. According to its data, exports in May 2015 decreased by 41.2%, to $2.94 billion, while imports fell by 45.9%, to $2.61 billion. 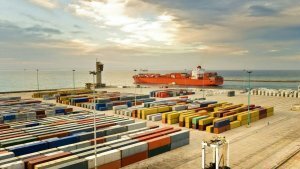 The pace of decline in foreign trade accelerated, especially for imports: in April 2015 exports of goods from Ukraine fell by 39.3% year-over-year and imports dropped by 39.2%. In absolute indicators, in May 2015 exports fell by 4.3% compared to the previous month and imports decreased by 8.2%. In January-May 2015 exports of goods fell by 35.9% year-over-year, to $15.44 billion, while imports declined by 38.8%, to $14.53 billion, while the surplus improved by 2.5 times, to $910 million. The service said that the Russia’s share of the exports’ structure fell from 19.5% in January-May 2014 to 12.1% in January-May 2015, and the share of imports fell from 29.8% to 16.4%. The share of supplies to China grew from 5.4% to 7.4%, to Turkey – from 6.2% to 7.5%, to Egypt from 5% to 6.1%, to Italy – from 4.9% to 5.2%, to India from 3.3% to 4%, to Germany from 2.9% to 3.5%, while to Poland it fell from 5.2% to 5%. The Hungary’s share of total imports grew from 1.9% to 5.5%, and Germany’s share – from 8.1% to 11.2%. Supplies from China rose from 9% to 10.5%, from Poland – from 5.1% to 5.9%, France – from 2.5% to 2.8%, the Untied States – from 2.8% to 4.1% and from Belarus they did not change, being 6.4%. The ratio of imports coverage by exports in January-May 2015 was 1.06 (1.02 year-over-year). The country traded with partners from 205 countries. The share of non-precious metals and products made of them of the Ukrainian exports was 27.6%, that for crops – 18.7%, mechanical and electric machines – 9.9%, oil and mineral products – 8.5% each, finished food – 6.4%, chemical products – 6.3%. Exports of goods to the EU countries totaled $5.165 billion or 33.5% of total exports in January-May 2015 and it fell by 35.9% year-over-year. The share of mineral products of total imports was 32.9%, mechanical and electric machines – 14.5%, chemical products – 14.1%, polymers, plastic and products made of them – 6.7%, non-precious metals and products made of them – 5%, finished food – 4.4% and crops – 4.3%. Imports of goods from the EU totaled $6.154 billion or 42.4% of total imports and it fell by 25.6% year-over-year. As reported, the statistics data differ significantly from NBU data which takes into account informal trade. According to the balance of payments previously published by the NBU, the deficit of Ukraine’s foreign trade in goods in May totaled $162 million, while in April it was $114 million and in May 2014 it was $541 million. Exports fell by 42.3%, to $2.71 billion, while imports fell by 45.2%, to $2.87 billion. 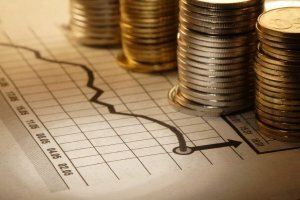 NBU said that the deficit of Ukraine’s foreign trade with goods in January-May 2015 totaled $1.29 billion, which is 2.5 times better year-over-year: exports fell by 36.4%, to $14.32 billion and imports declined by 39.2%, to $15.6 billion. KYIV. 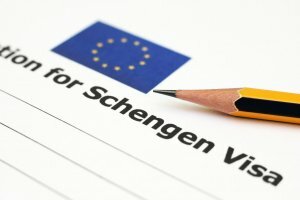 July 16 (Interfax-Ukraine) – The EU positively assess the work Ukraine has done since the European Commission’s report on implementation of the action plan on liberalization of the visa regime with the EU for Ukraine was posted on May 8, 2015, the press service of the Foreign Ministry reported. At the meeting of high-ranking officials involved in EU-Ukraine visa-free dialogue on Wednesday, the EU also expressed hope steps planned by Ukraine would be realized in time and ensure the implementation of remaining recommendations. “The parties state a common position that the implementation of recommendations is very important for the preparation of a positive report and getting the recommendation for introducing visa-free regime for Ukrainian citizens,” reads the statement. The Ukrainian delegation was led by Deputy Foreign Minister of Ukraine on European integration Olena Zerkal, the EU – by Director General of the Directorate General for Migration and Home Affairs (DG HOME) Matthias Ruete. KYIV. 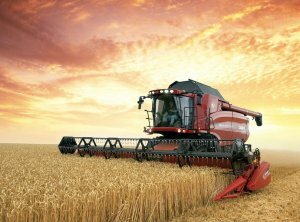 July 15 (Interfax-Ukraine) – Agricultural enterprise Nibulon, Ukraine’s large producer and exporter of grain and oilseeds, wants to boost exports by 19% in the 2015/16 agricultural year (July-June), to 5 million tonnes of agricultural crops. 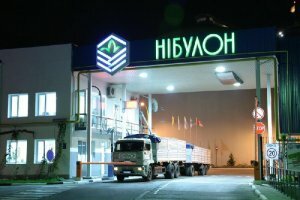 “We plan to increase shipment to 5 million tonnes in the current 2015/16 and new agricultural years first thanks to the following promising markets: China and Iran, and we plan to further extend geography of the company’s export, which today includes 64 countries,” the company’s press service told Interfax-Ukraine. In 2014/15 agri-year the company handled and shipped for exports over 4.2 million tonnes of grain and oilseeds. A total of 113 ships were used to deliver the freight, and the average size of a batch was 31,200 tonnes. In 2014/15 agri-year Nibulon exported products to 30 countries, and the largest share of total exports was Egypt’s (25%), Spain’s (10%) and Saudi Arabia’s (8%). “China with 2.8% share, Thailand with 1.2% and Mexico with 1.05% were new destinations in 2014/15 agri-year in all aspects. The latter deserves attention from the point of view of vast geodistance of the country and vicinity of the following leading agricultural producers: the United States and Argentina, which traditionally have strong positions on the Western Hemisphere market,” the company said. The company mainly exports corn and wheat, which share of total exports is 79%. Nibulon predicts that the global ratio between demand and supply on the core agricultural crops market has not considerably changed compared to the previous year and in the current agricultural year one should not expect sharp changes in the prices. The prices would fluctuate under pressure of traditional seasonal factors. Nibulon was created in 1991. It is one of the largest operators in the grain market. The company has a total silo capacity of more than 1.7 million tonnes, as well as its own transshipment terminal in Mykolaiv. KYIV. July 15 (Interfax-Ukraine) – As of July 15 Ukraine had threshed early grain and leguminous crops on 2.8 million hectares (27% of the forecast) and harvested 8.7 million tonnes of grain, the Agricultural Policy and Food Ministry has reported. According to its data, barley was threshed on 1.2 million hectares, and the harvest reached 3.4 million tonnes with the average yield being 29.4 centners per ha. Wheat harvest totaled 5 million tonnes from 1.5 million ha with the yield being 33.8 centners per ha. In addition, Ukraine harvested 238,000 tonnes of peas from 114,000 ha, 516,000 tonnes of rapeseed from 240,000 ha. As reported, with reference to data from the State Statistics Service, the grain harvest last year was 63.8 million tonnes. In 2015, under the ministry’s forecast, it is expected to reach 59-60 million tonnes. KYIV. 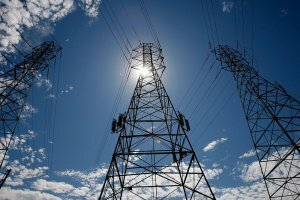 July 15 (Interfax-Ukraine) – Ukraine’s National Commission for Energy, Housing and Utilities Services Regulation (NCER) has expanded the investment program of national energy company Ukrenergo by 45.6% or UAH 2.179 billion, to UAH 6.959 billion (VAT not included). An Interfax-Ukraine correspondent has reported that the commission made the decision at a meeting on Tuesday. Commission Head Dmytro Vovk said that the extension of the investment program would entail an increase in the electricity tariff for industrial consumers of within 1%, although in the medium-term outlook the tariff would be decreased thanks to work being completed. Ukrenergo acting Director General Yuriy Kasich said that the increase of expenses in the 2015 investment program by UAH 2.179 billion is less than 35% of expenses foreseen in the draft development plan of the average annual needs of the company. He said that the company plans to announce several tenders to buy equipment in the near future. “Out of 36 electrical devices that are to be installed at facilities of trunk power line network, according to the proposed changes to the investment program, 19 units are new equipment to realize power line development programs [including one unit to be in reserve], eight units is the replacement of damaged equipment and nine units is the replacement of equipment in the unsatisfactory state,” he said. Kasich said that thanks to the increase of expenses to replace equipment, Ukrenergo will be able to partially catch up with the losses of the previous years. “The technical state of equipment of truck power lines and interstate power lines today are highly deteriorated. Around 70% of main equipment of power substations has operated for their life cycle of 25 years and requires urgent replacement. The further exploitation of equipment over their life cycle increases maintenance and repair expenses,” he said. Ukrenergo operates mainland and inter-state power transmission lines, as well as centralized control of the national power grid. The company is state-owned and controlled by the Coal Ministry. The National Commission for Energy, Housing and Utilities Services Regulation regulates the activity of monopoly entities in the fields of energy, heating supply, central water supply and drainage, oil and gas industries, solid waste treatment, and implements state price and tariff setting policies in these sectors.